A step towards better education! 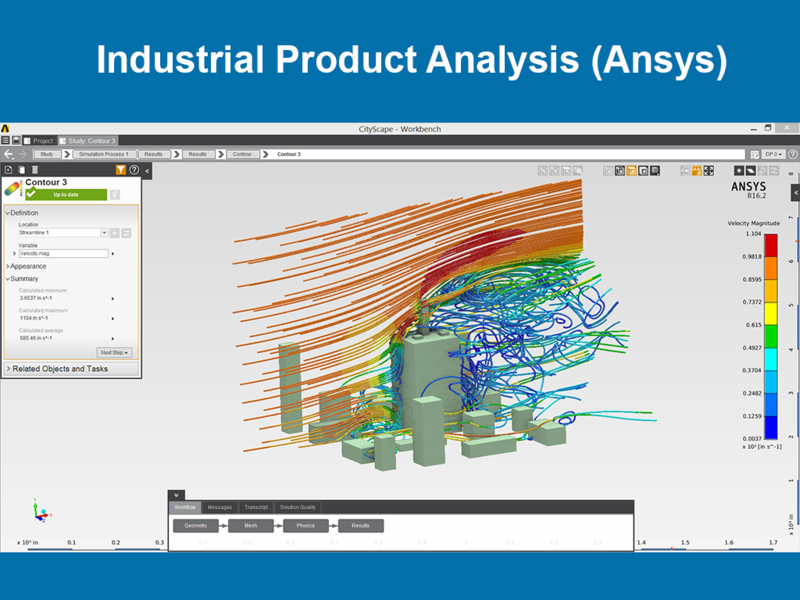 Ansys is the most powerful tool for virtual analysis in the world. It provides a range of engineering simulation software for engineers and designers to analyze how their products work in real world environment, at an early stage of product design. it is being used across a wide range of industries to analyze various performance parameters such as signal integrity, electromagnetic interference, thermal issues, and mechanical failure. Ansys is the most used analysis software in the world with it users ranging from Aerospace Industry to Heavy Machineries. Also Ansys provides other softwares under its belt, such as Fluent, ICEM and CFX. Companies like Renault, Michelin and Airbus also take help of this software in analysis. A product designer and engineer are required to have complete knowledge about virtually validate a design. But we believe an engineer needs something more than that to strive in an industry. This course is a part of Ready-for- Industry courses, which aims to make, the budding design engineers, adept with the scenarios in a company. The outcome of such courses is to give that extra edge to the students where in a company views them as the right candidate. 1. Learn how to validate and simulate the product with respect to all sectors, including automotive, power electronic products, electronic equipment, electromechanical devices, and electrical systems. 2. Learn how to optimize you design according to given industrial specifications. 3. Learn how to understand, interpret and document the results of simulation. 4. This is a Ready-for-Industry course which gives you ample knowledge to ace your placement drive.